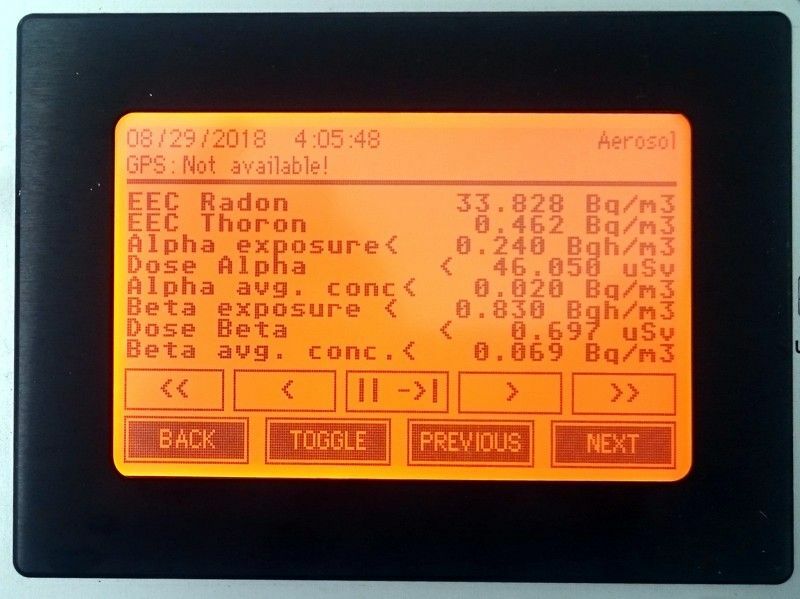 The Aer5200 monitors continuously the ambient air to detect airborne radioactive aerosols (LLRD). Typical application fields are nuclear facilities, the NORM industry, mines and nuclear medicine (e.g. DIN ISO 16639 / VDE 0493-1-6639). 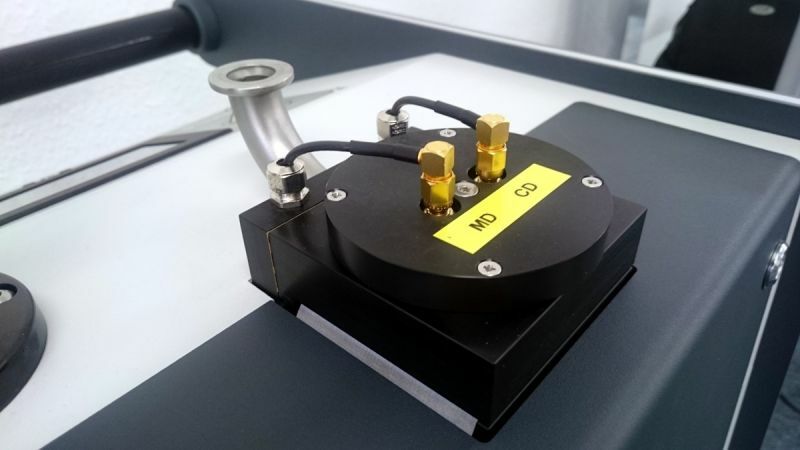 The aerosols will be deposited on the surface of a filter by the internal pump and will be analysed by spectroscopy. The natural background due to Radon and Gamma irradiation will be fully compensated. The Aer5200 is instantly ready for operation after powering. The intuitive touch screen operation and the straight forward menu structure allow the operation even by unskilled staff. The ergonomic design, big wheels and low weight makes it easy to relocate the instrument if required. The stylish unit with plain surfaces can be easily de-contaminated. The pump works very quiet. 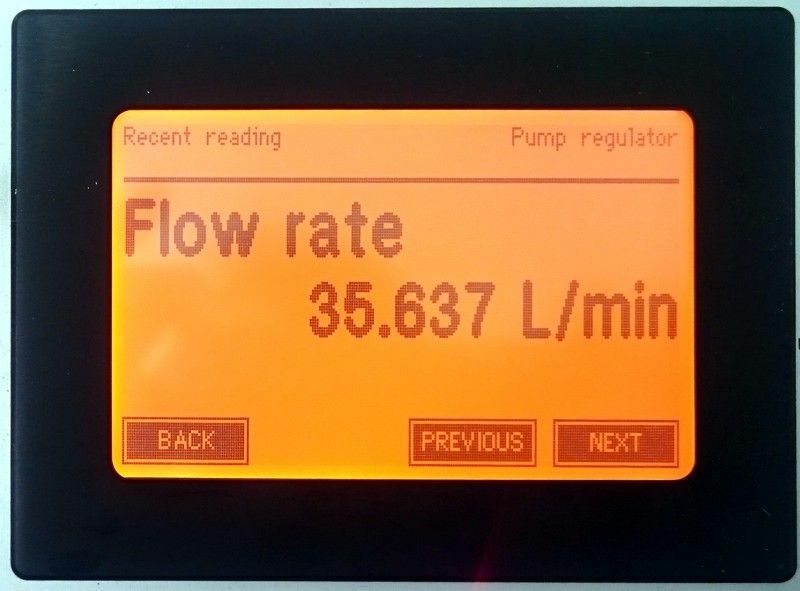 The open face air inflow in combination with a regulated flow rate ensures a uniform and low-loss deposition of the aerosols on the filter surface. 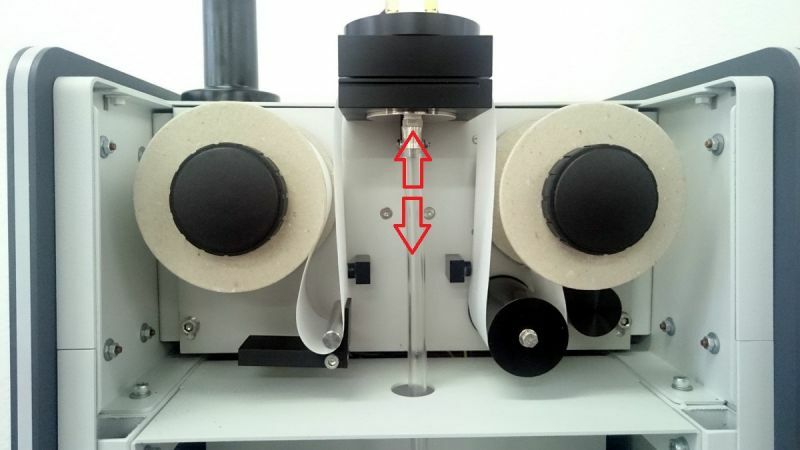 The large active filter diameter and the long filter tape used in the filter stepping unit results in outstanding operation periods without intervention. The unique mechanism for dynamic filter sealing avoids leakages as present in conventional movable-filter solutions. Optionally, the unit may be equipped with a vacuum adapter (KF/DN16) to connect sampling pipes or flexible tubes. Particle losses at the inlet become negligible by the special construction. Contaminated filter pieces can be cut out easily for further analysis due to the quick stepping drive access. Because of the high sensitivity of the Aer5200, very low detection limits and alert thresholds for Alpha and Bea exposure can be achieved. All parameters, necessary for proper operation are monitored continuously and are part of the stored measurement data. A flexible alert system warns the user in case of the exceedance of a threshold or any deviation from the regular operation mode. 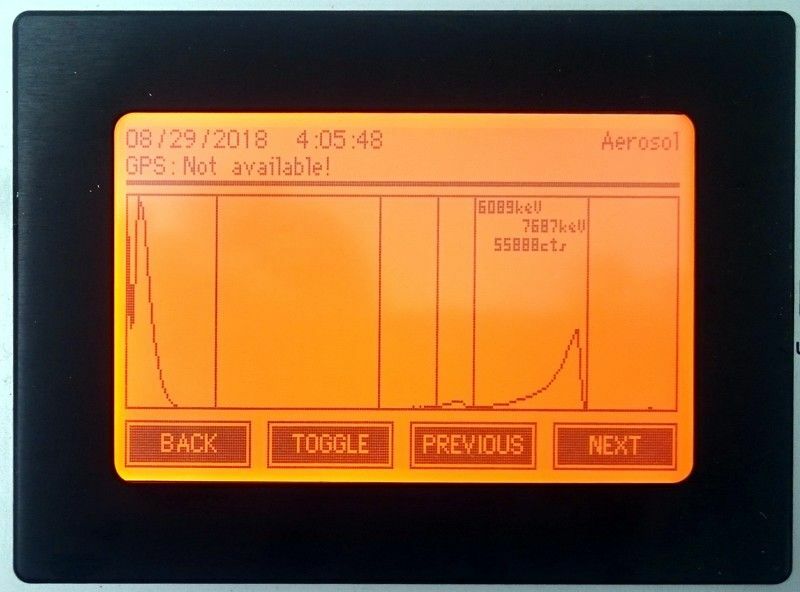 The Aer5300 offers a detector/filter unit separated from the body of the instrument. This allows the user to place the sampling head independently under conditions with limited space. There are many options for additional detectors/sensors (e.g. NaI probe with nuclide identification) and system integration.